The intercooler is a type of radiator, which cools the air before it gets in to the cylinders. This is necessary, because the hot air is less dense (meaning it contains a lot less oxygen) than the cool air, and for the effective burning of the fuel you need more oxygen. This is what physics teach us. And because the more dense air, the fuel is burned properly and most efficiently, thus increasing the overall power of the engine and less harmful emissions go into the air. Cooler air also helps to extend the life of the engine. 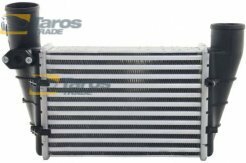 Here you can find different intercoolers for various models of vehicles. 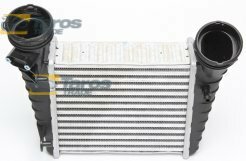 The timely repair of the intercooler will provide you with a better-functioning engine, will extend the engine’s life and will reduce the risk of further and more serious damages. Here you will receive vehicle parts of the highest quality, for a good price, delivered to you in a timely manner, which is necessary for the quick repair of your vehicle.